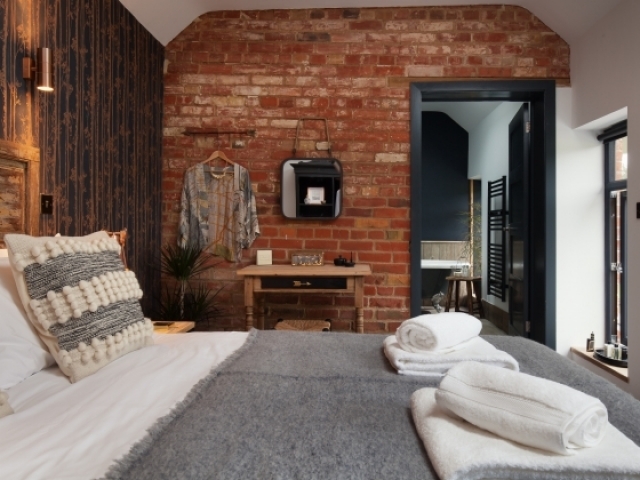 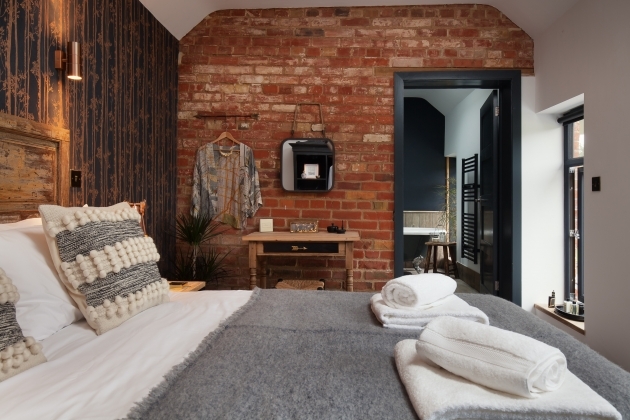 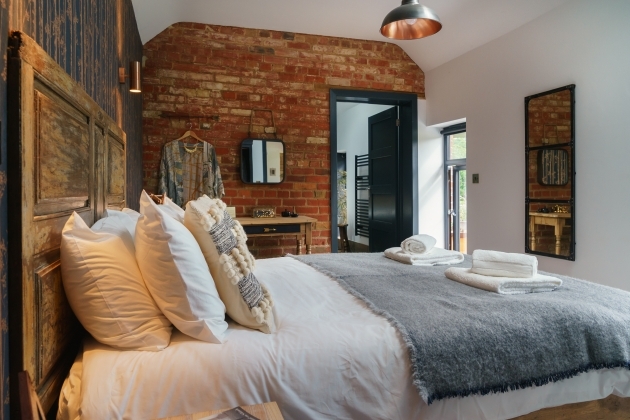 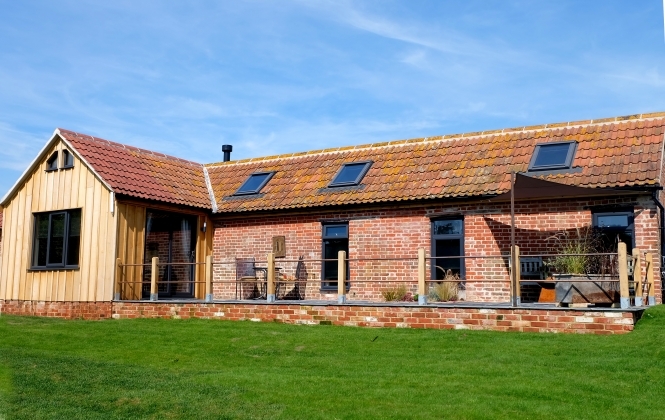 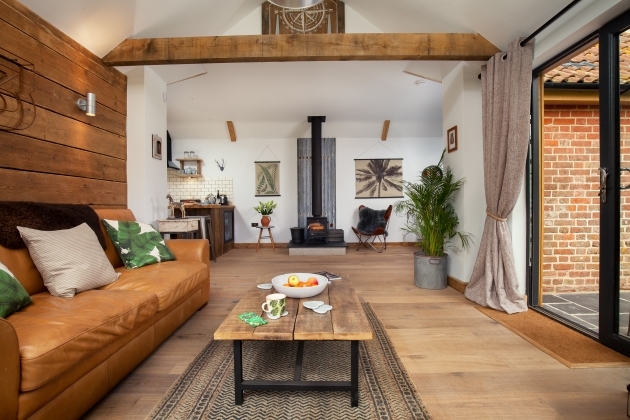 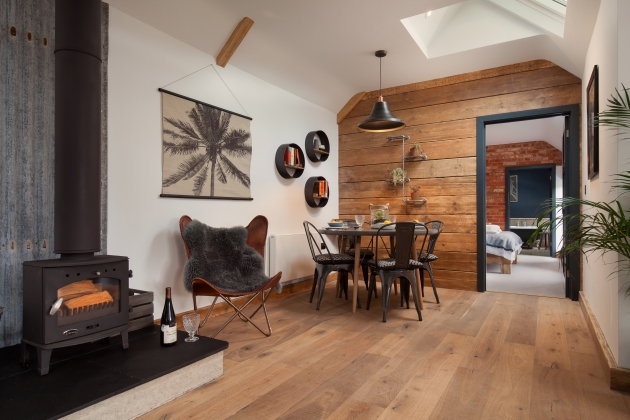 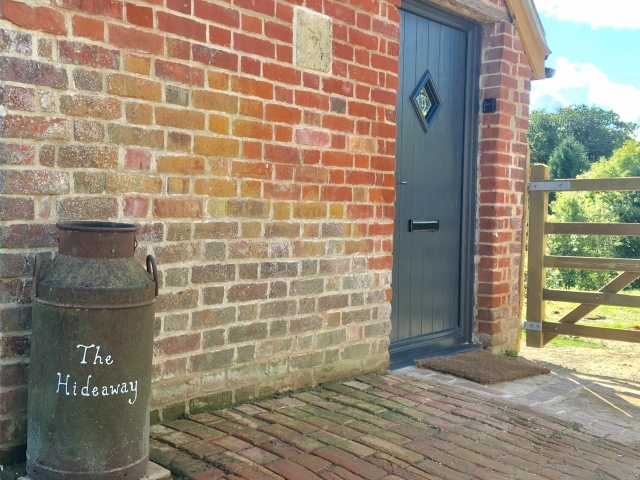 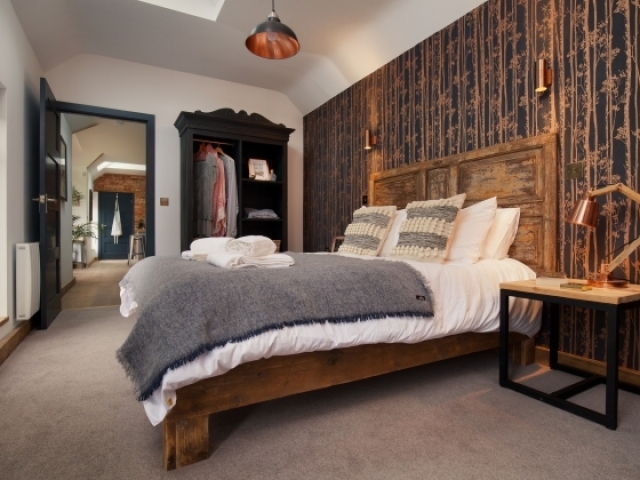 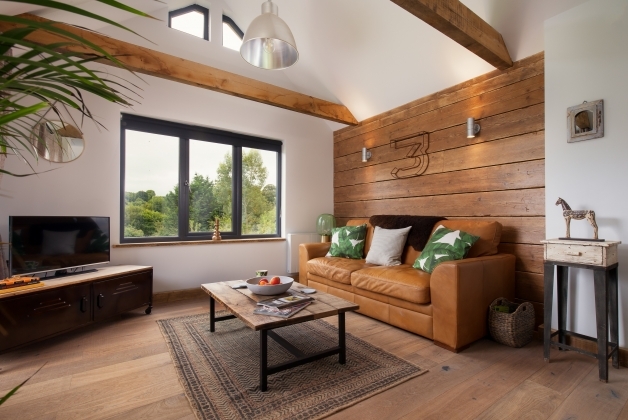 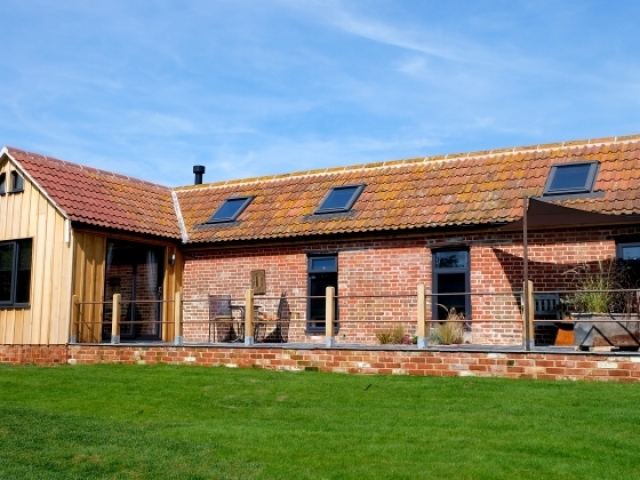 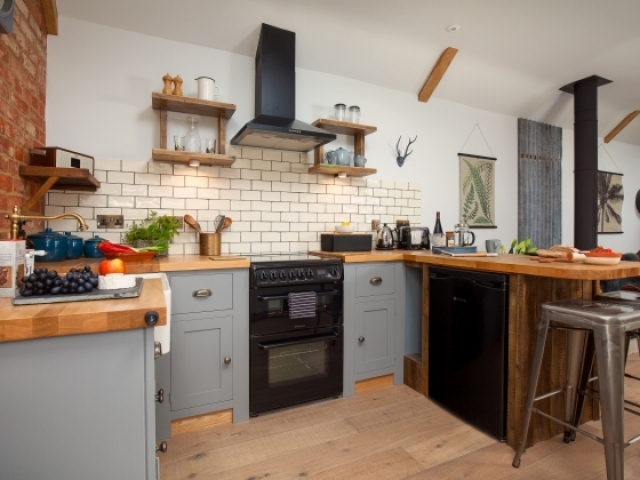 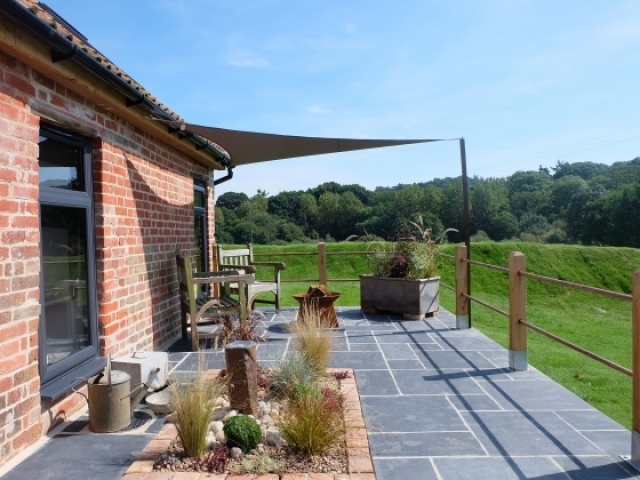 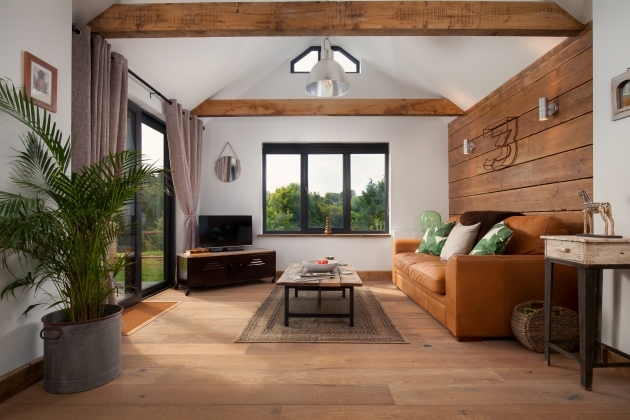 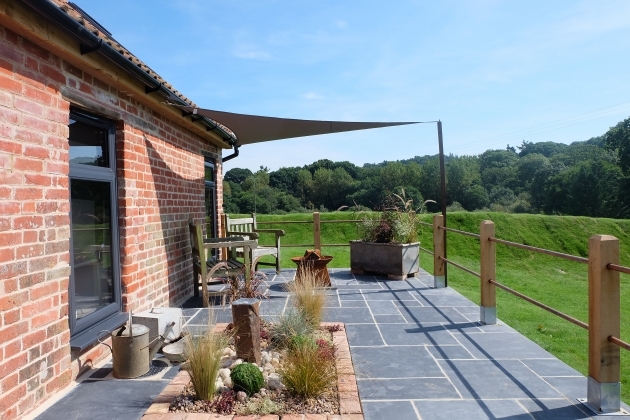 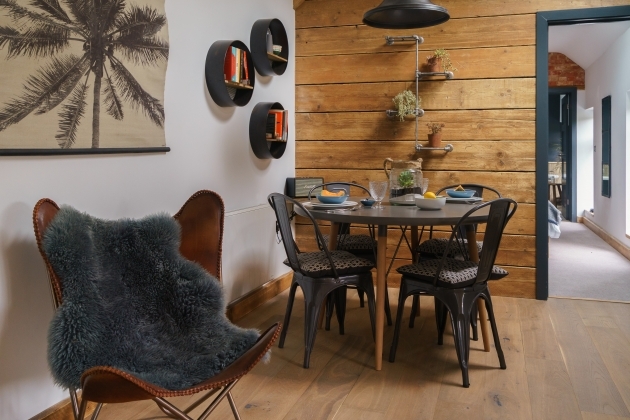 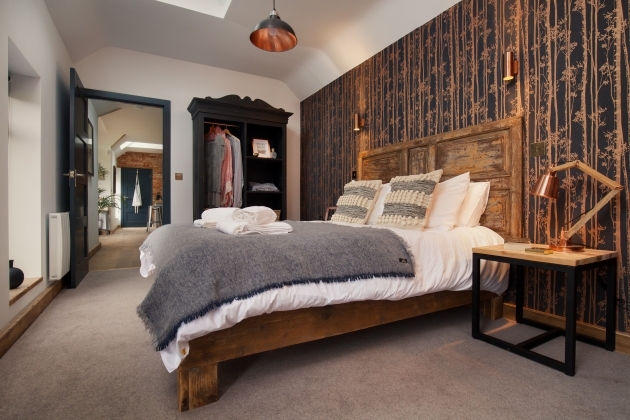 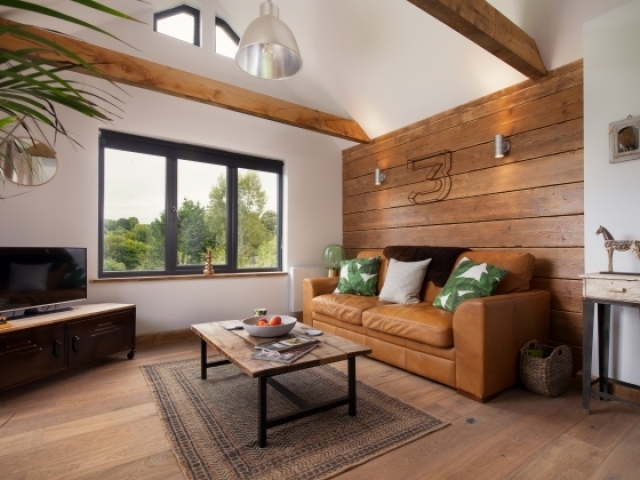 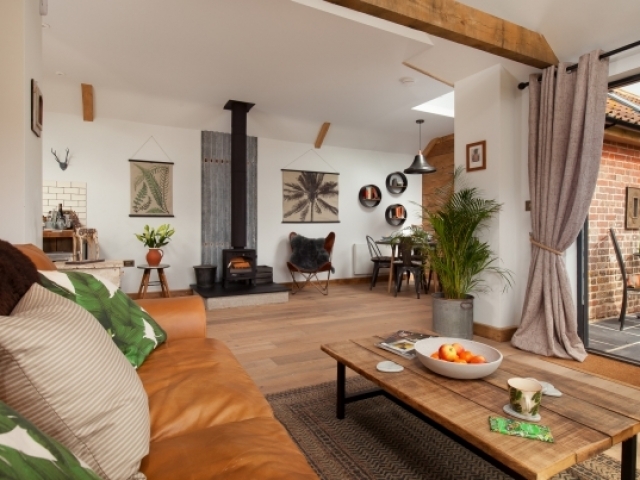 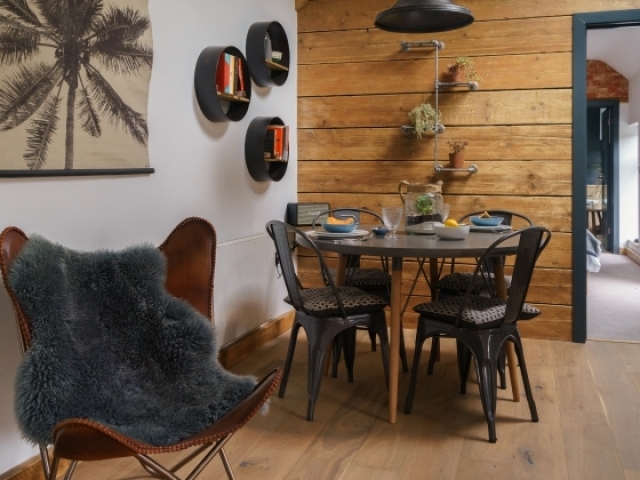 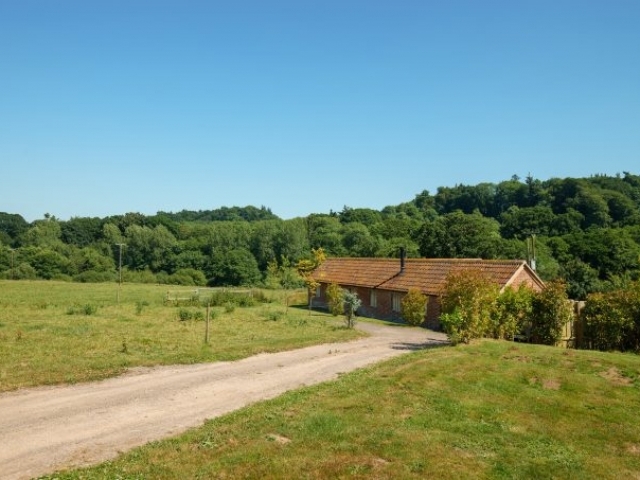 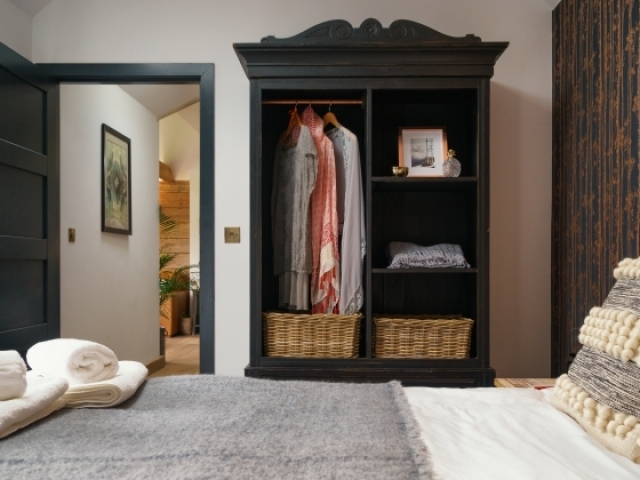 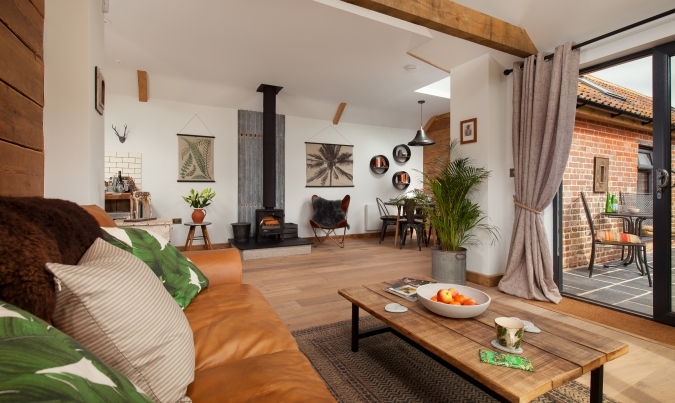 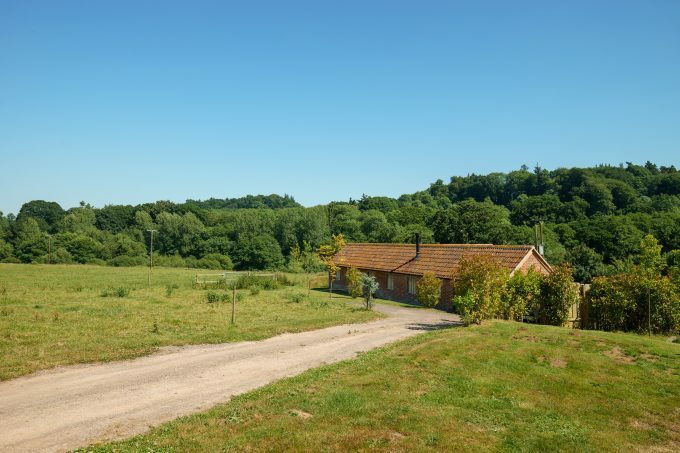 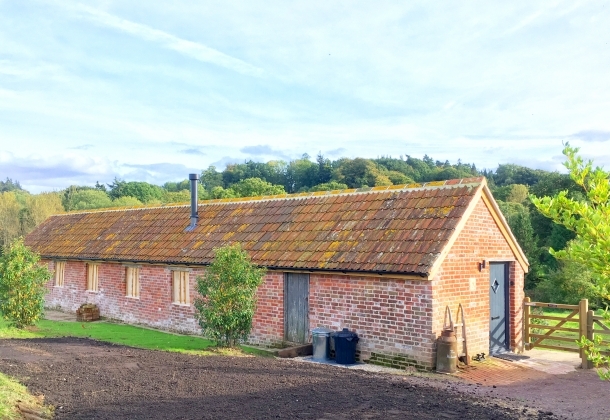 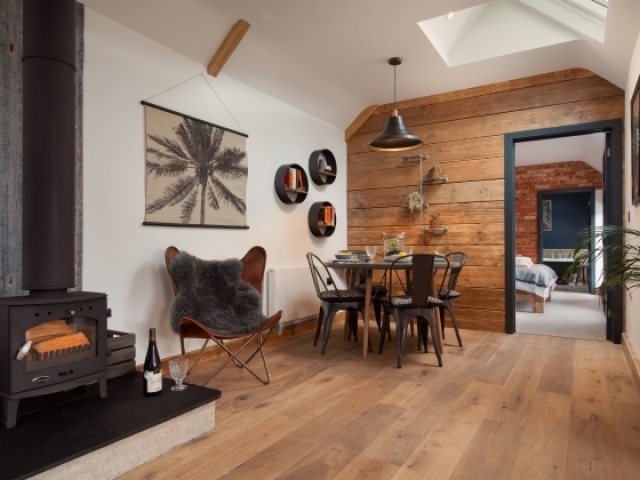 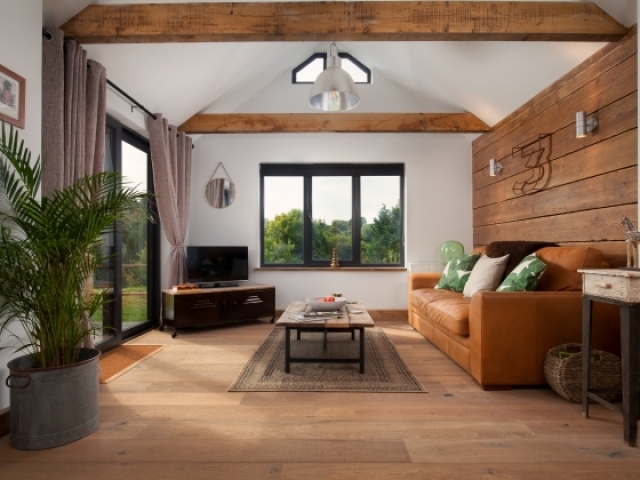 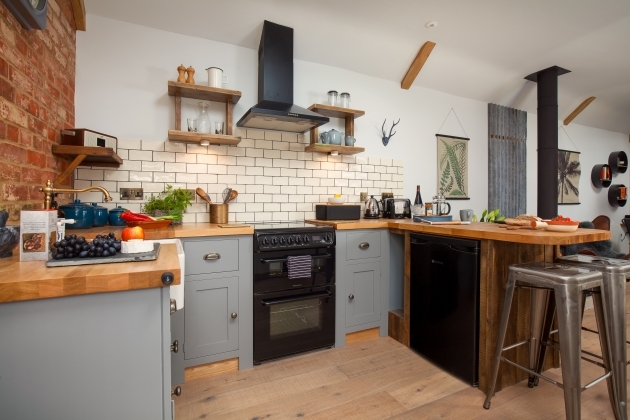 The Hideaway has been voted in the top 25 cottages in the UK by The Sunday Times and is a true hidden gem, a gorgeous converted barn from the 1800’s nestled in organic farm land with stunning south facing views of woodland and fields, perfect for couples who are looking for a stylish and romantic retreat. 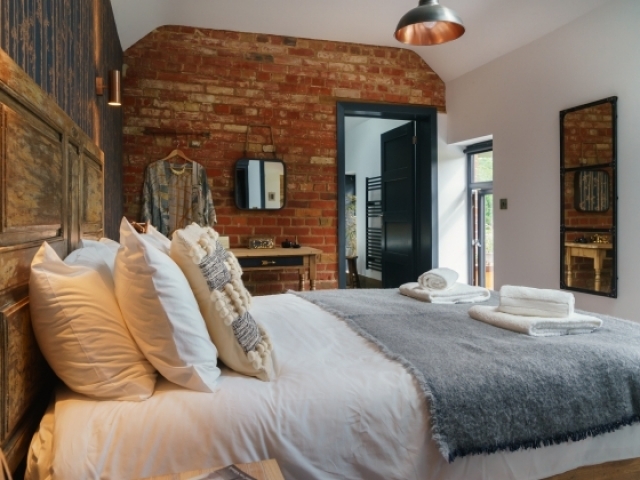 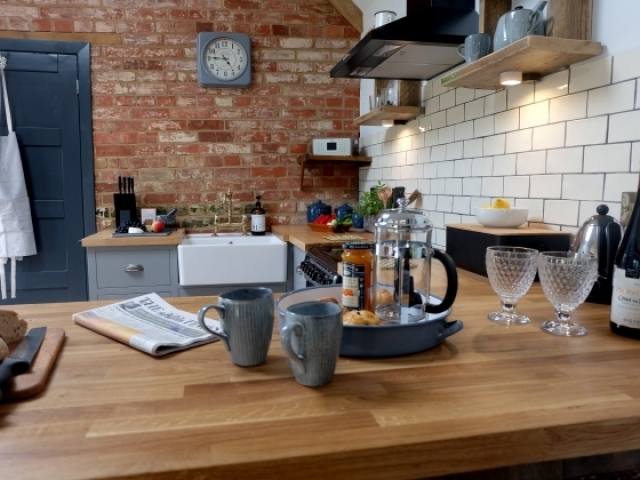 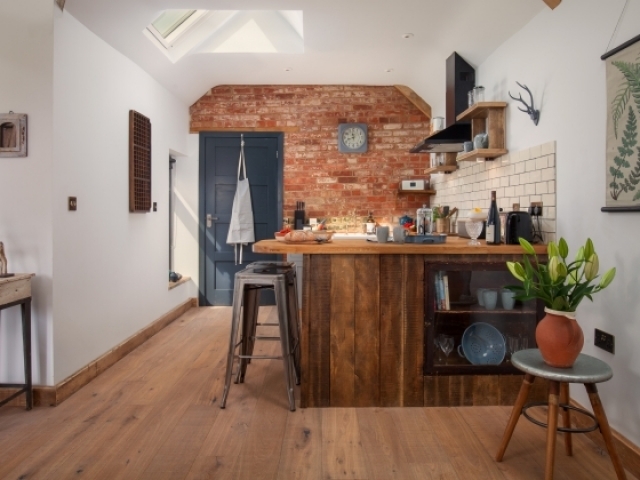 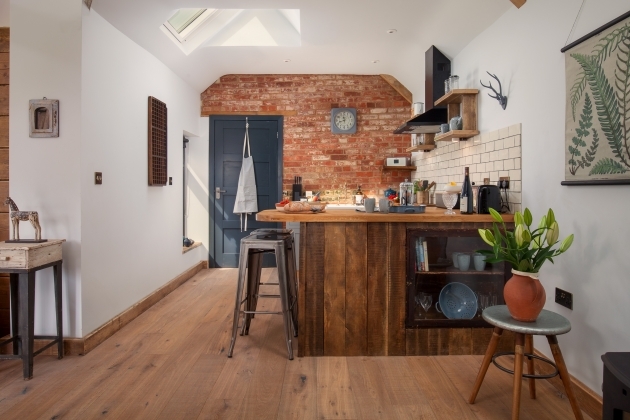 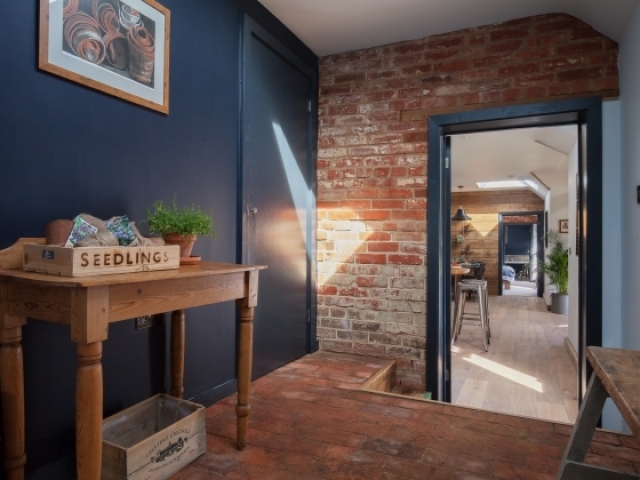 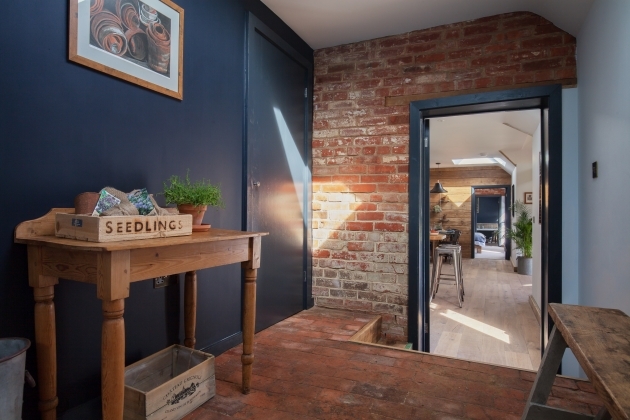 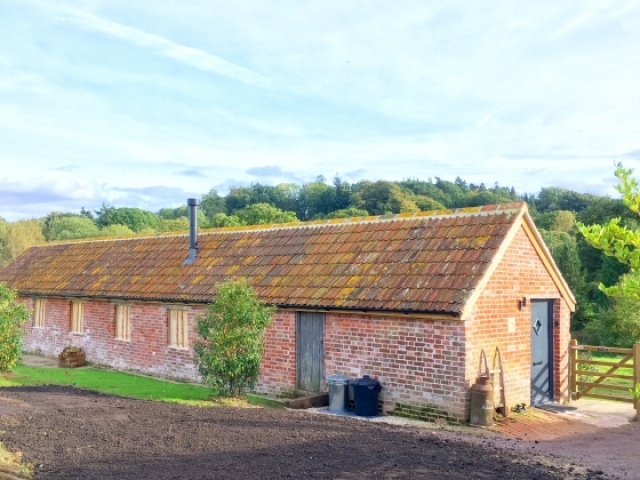 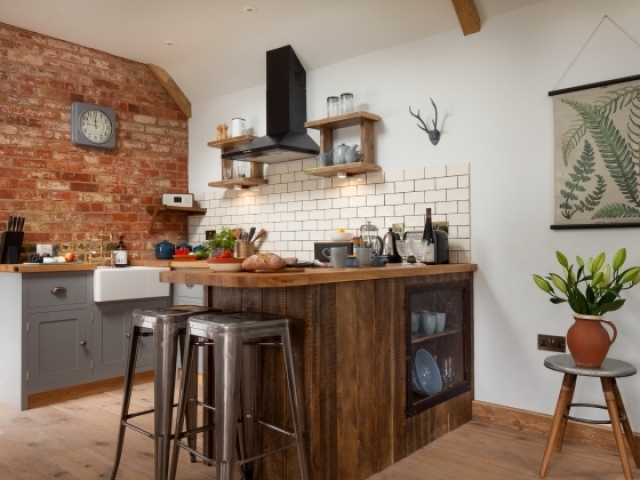 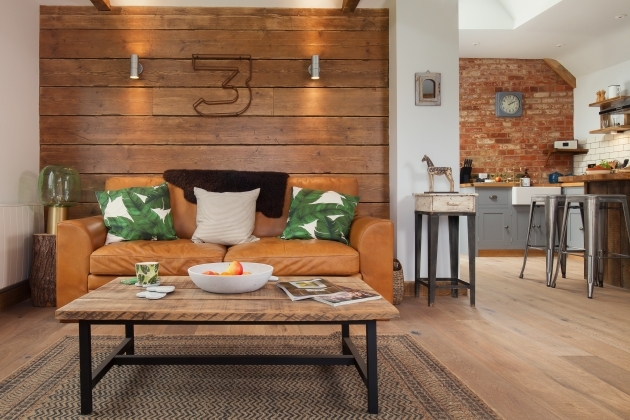 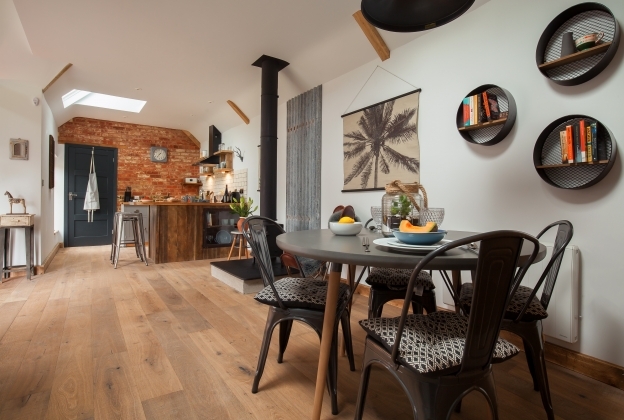 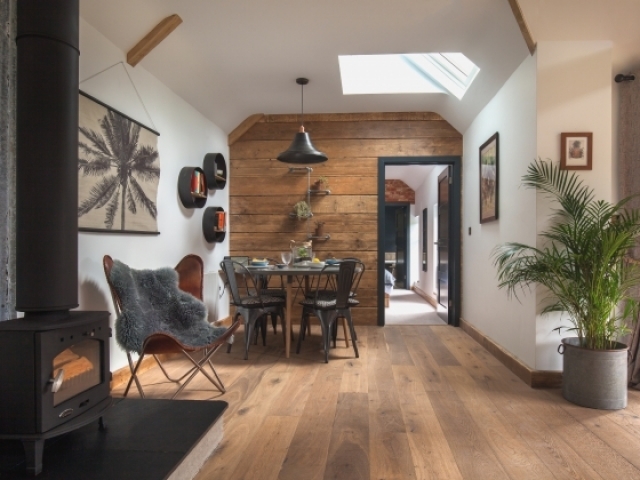 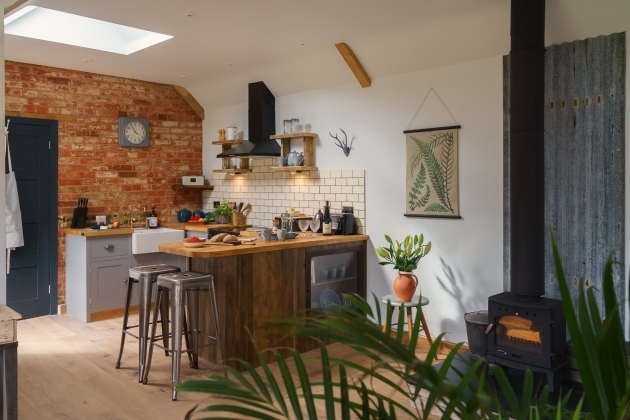 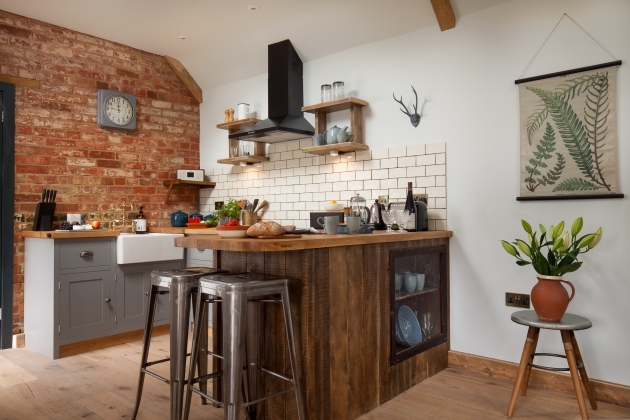 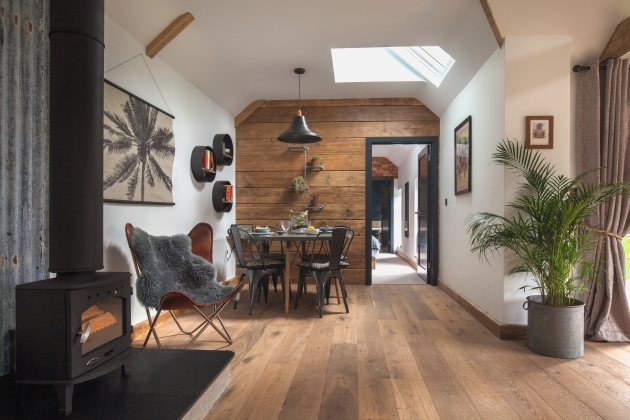 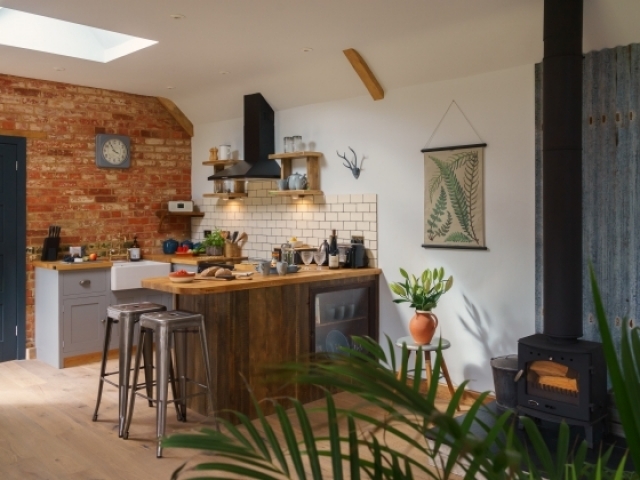 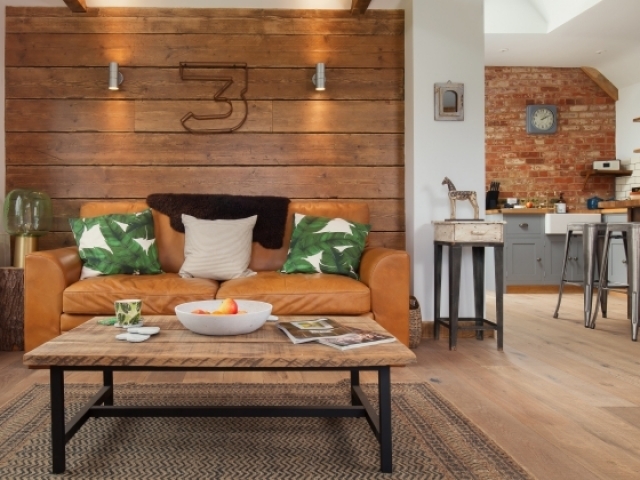 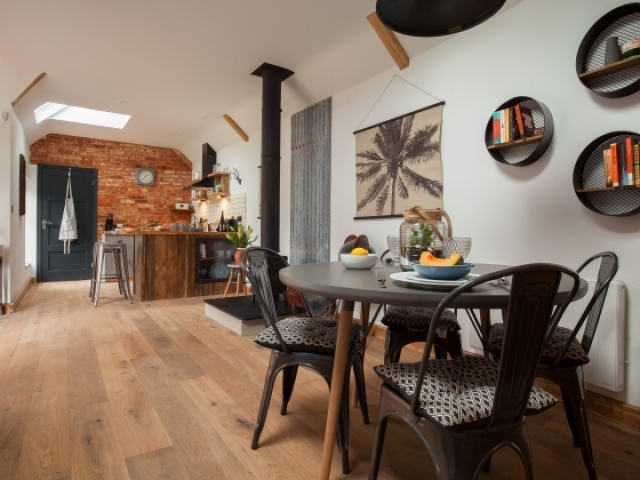 Approaching via the private drive you are met with a large detached converted barn, you enter the boot room with its original brick floor and on into the open plan living space flooded with light and brimming with original features. 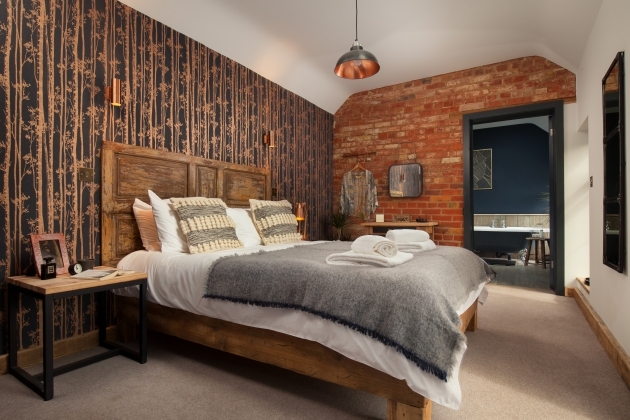 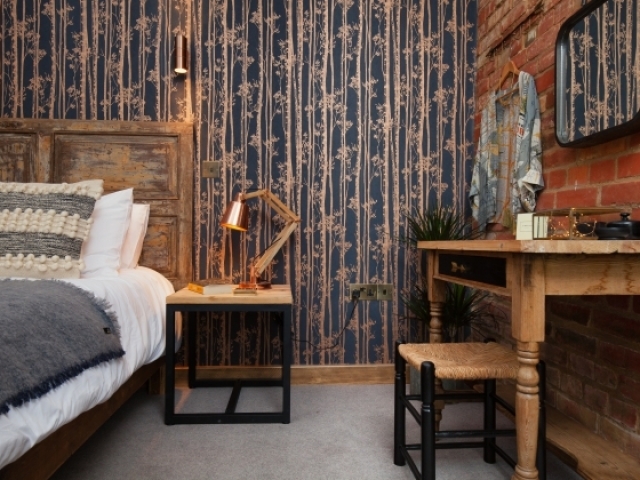 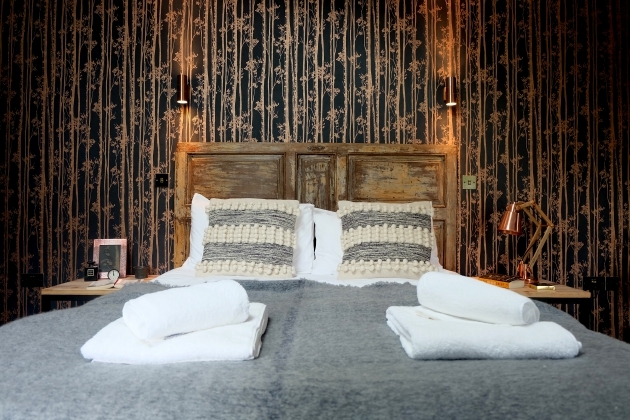 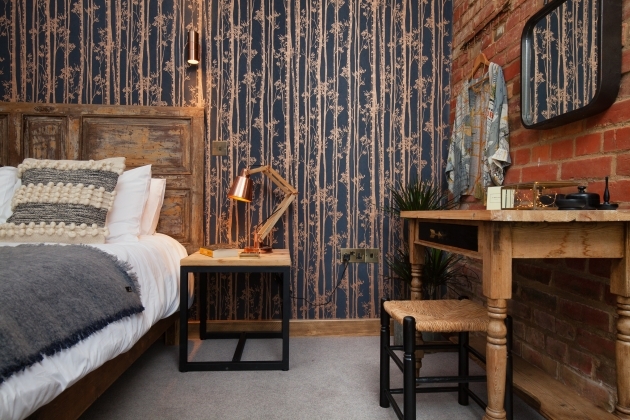 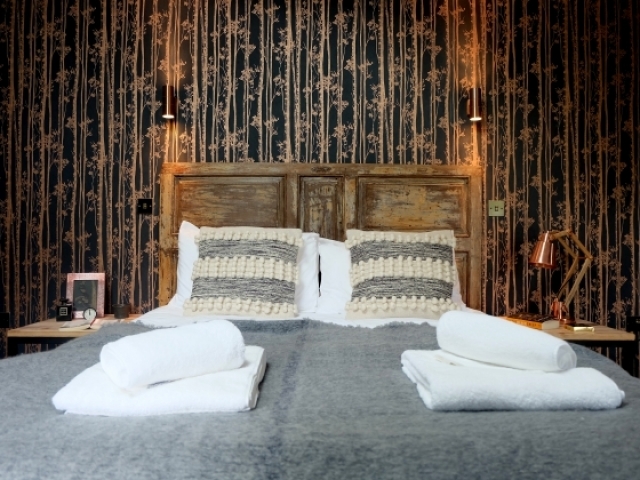 The interior is reminiscent of a boutique hotel with no expense spared to create the perfect blend of style and character. 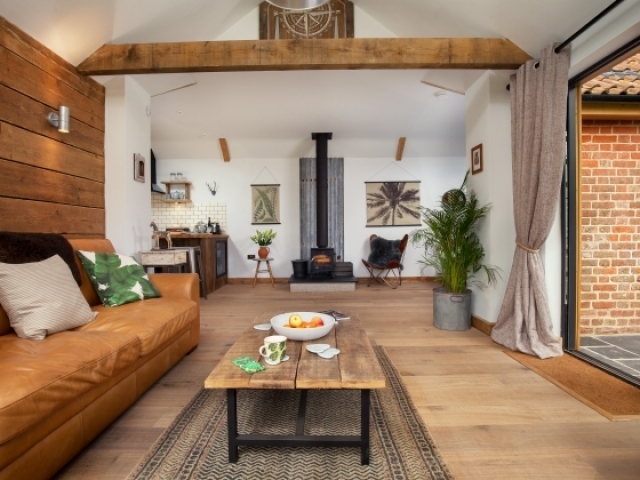 Doors lead onto the large secluded patio where you will have sun from breakfast till bedtime, you can dine outside then sit round the fire pit and gaze at the stars. 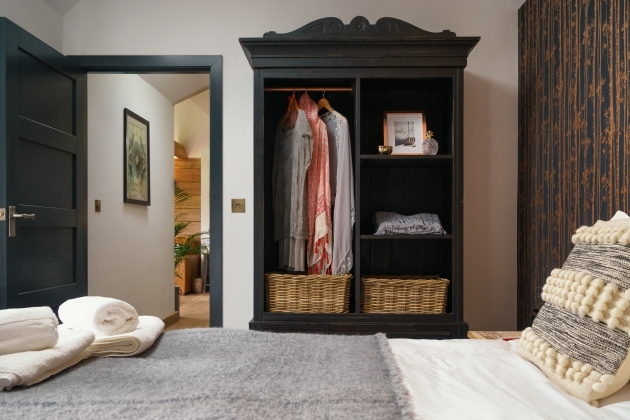 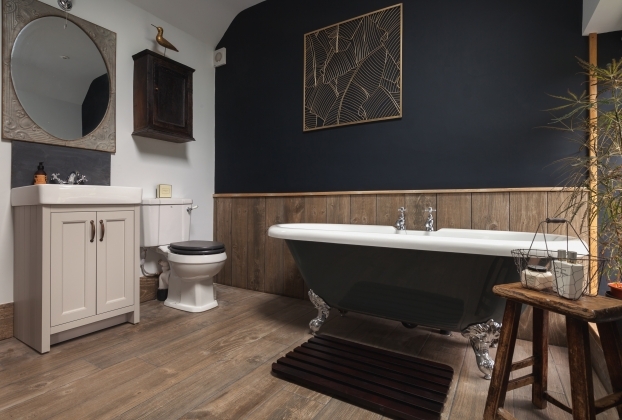 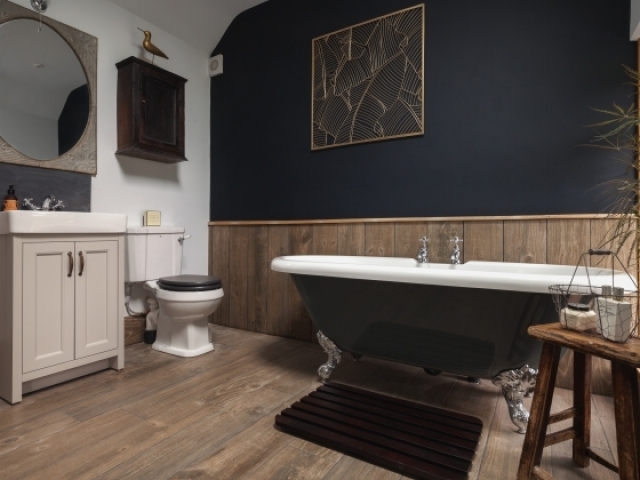 To finish the perfect day slip into the roll top bath, light the wood burner and snuggle into the luxury king size bed. 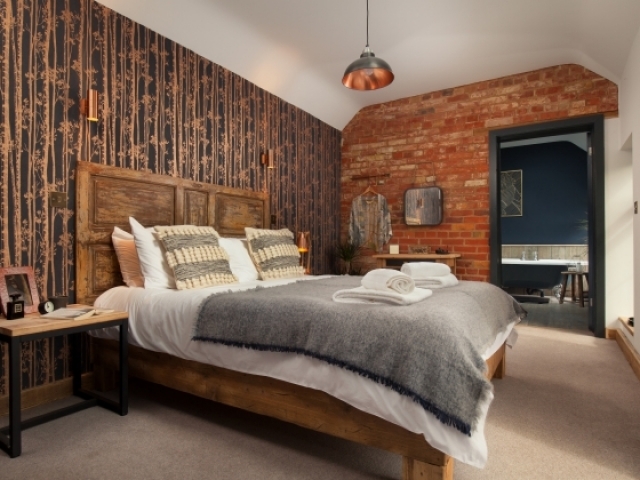 There is a footpath that runs straight past the property to the award winning gastropub or through the woodland trust to the market town of Crewkerne and the World Heritage Jurassic coast is only half an hour away. 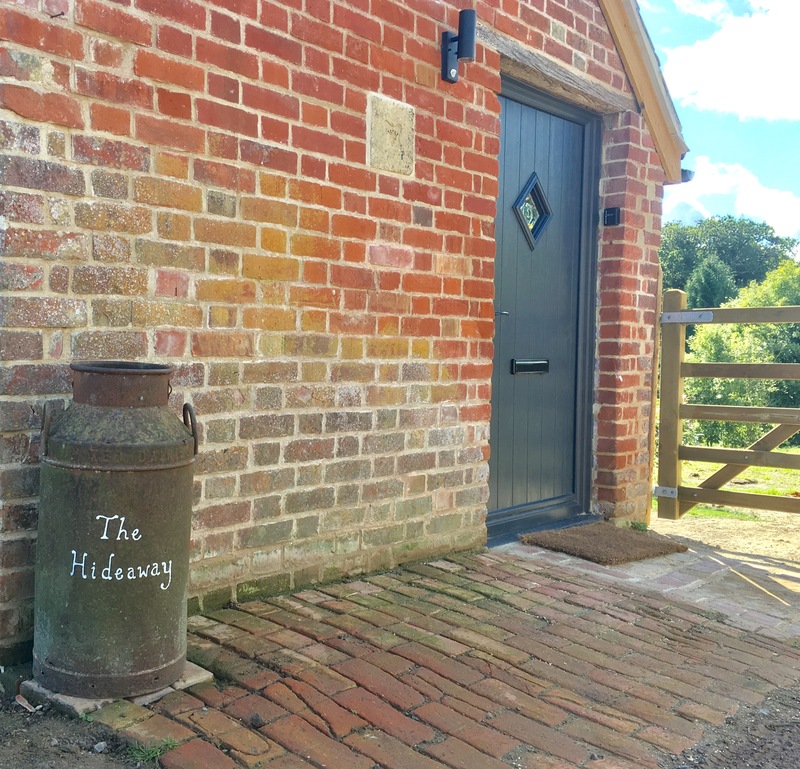 The Hideaway gives you the opportunity to retreat from the world and connect with your thoughts, nature and each other in a truly beautiful space. 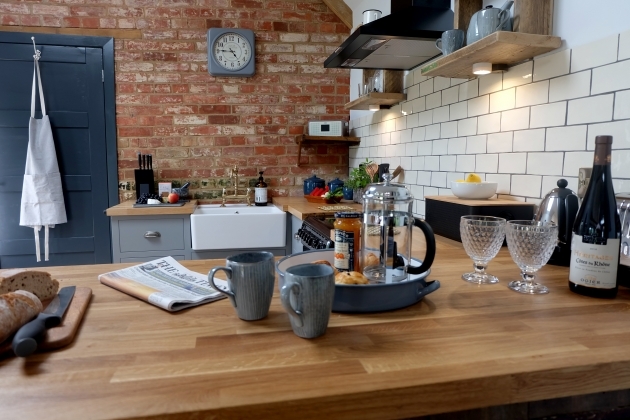 Milk, biscuits, tea and coffee.